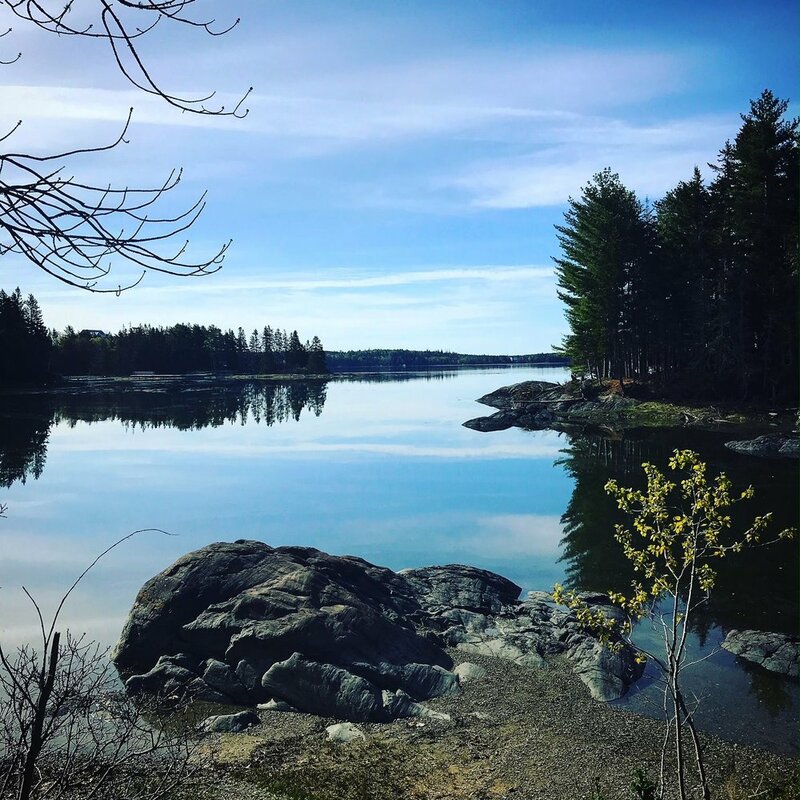 A weekend of rest and centering in this beautiful natural island setting will introduce participants to “mindfulness” and other strategies to manage stress and enjoy life more. Instructor Kelly Richards brings a wealth of experience, training, and research to her teaching and practice. Participants will leave the weekend rested and refreshed, with a solid foundation on which to build their own mindfulness practice. You will arrive in the afternoon or evening of Friday, October 12th via Maine State Ferry from Rockland, Maine. You will spend the weekend on the off-shore island of North Haven, a beautiful and peaceful fall setting, with a room at Nebo Lodge inn or at the Turner Farm guest house. Over the weekend, you will explore the science of stress and a variety of ways to relax our bodies and focus our minds—with the goal of developing a tool kit of personal, sustainable daily practices. You will return to Rockland at mid-day, Sunday, October 14th. Mindfulness practices can help us lessen stress and support immune function, they can help us feel more balanced and peaceful, and less reactive to the challenges of everyday life. They are not difficult. Anyone can do them and many of them we can do anywhere. Over the course of the weekend, through guided sessions, nature walks, discussions, and an optional yoga session, you will will explore various practices. All guests will enjoy delicious and healthy meals at Nebo Lodge. The retreat package includes lodging, all meals at Nebo Lodge, and an optional yoga class. Lodging will be provided by Nebo Lodge and the Turner Farm guest house. * Sales tax and alcoholic beverages (available for purchase) not included. A free continential breakfast with fresh baked goods, yogurt, cereal, and coffee is provided. Guests may also order off the breakfast menu for an additional cost. Retreat weekend requires at least five participants to be held. If we have less than five participants and need to cancel, we'll refund all charges. Kelly Richards is a certified instructor of CBCT (Cognitively Based Compassion Training, a mindfulness-based program developed by researchers at Emory University in Atlanta) and a writer/consultant for a K-12 curriculum (Social Emotional and Ethical Learning) currently being created by that same group. A classroom teacher for 40+ years, 30 of them at the Paideia School in Atlanta, she has extensive practice teaching mindfulness to children, parents and teachers. Now retired to Vinalhaven, ME, she teaches Mindfulness to all grades in the island school and offers workshops for different communities in Atlanta and the Mid-Coast Maine area. Fill out the form below to sign-up and we'll call to confirm details!